I have been playing golf for 4 years. How did you get into golf and who introduced you to it? My dad is a golfer, my mom thought it would be good for me to play golf. It’s a way I can bond with my dad. 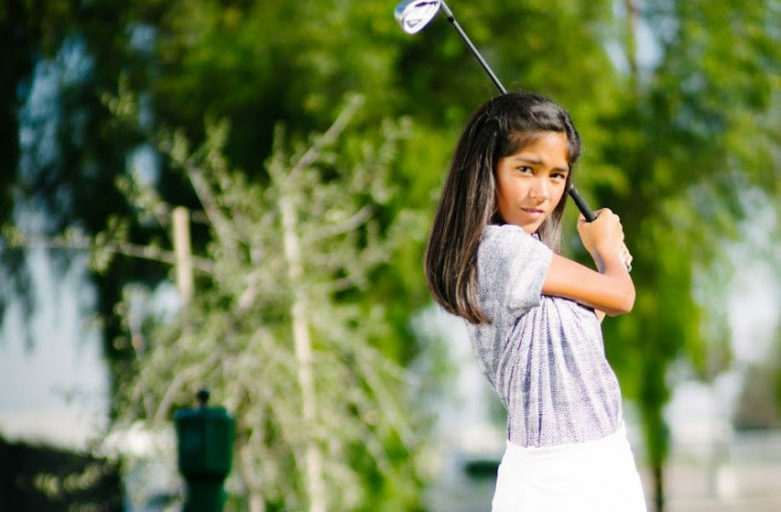 How old were you when you started PGA Jr. League? How long have you been playing PGA Jr. League? 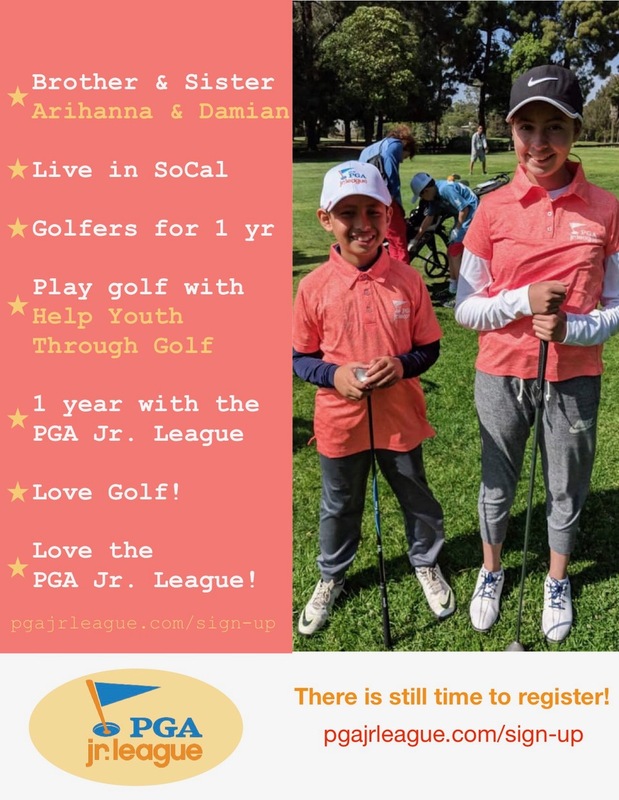 I have been playing PGA Jr. League for 1 year. 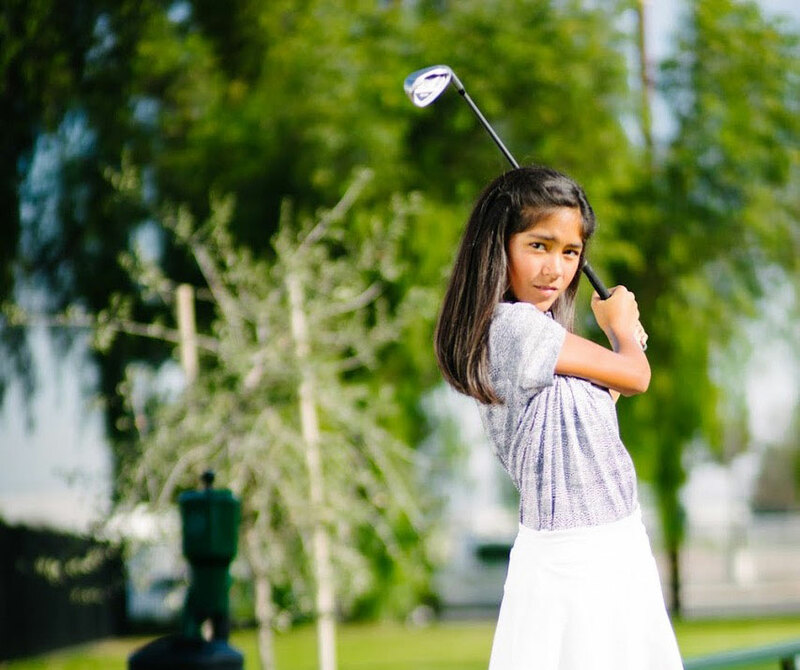 What is one word to describe your PGA Jr. League experience? It’s been fun. I had my ups and downs. It’s been challenging. You have to plan it out with partners. Playing with teammates is great because they have your back. It’s a little bit pressure-less. 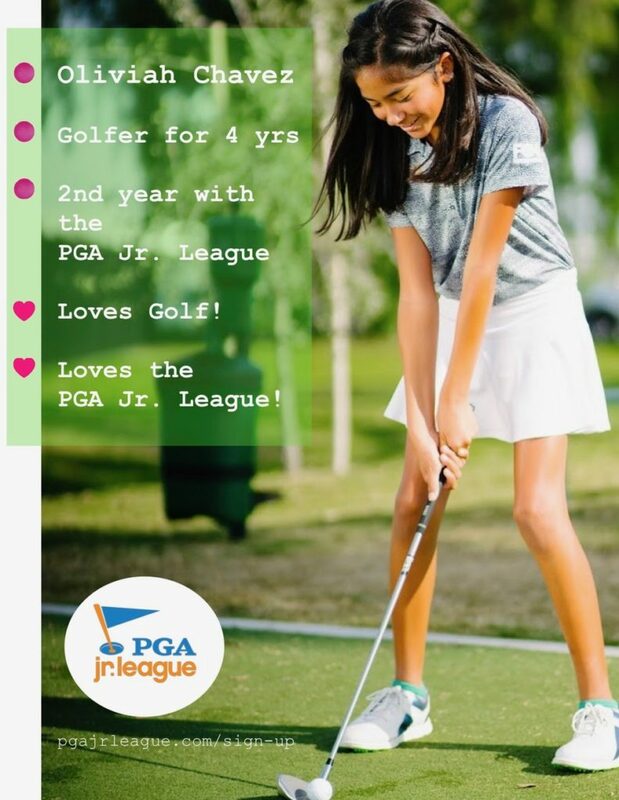 Why do you love PGA Jr. League? I like playing with others who love golf as much as I do. What was your favorite PGA Jr. League memory? 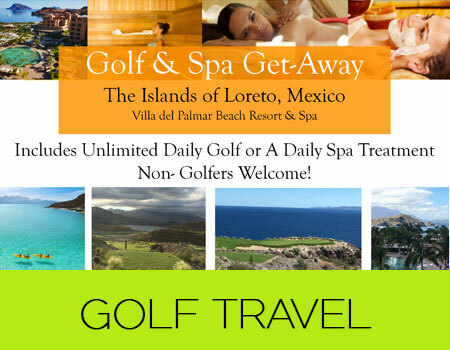 My favorite memory – after the tournaments my friends and I would have contests like chipping, putting, etc. 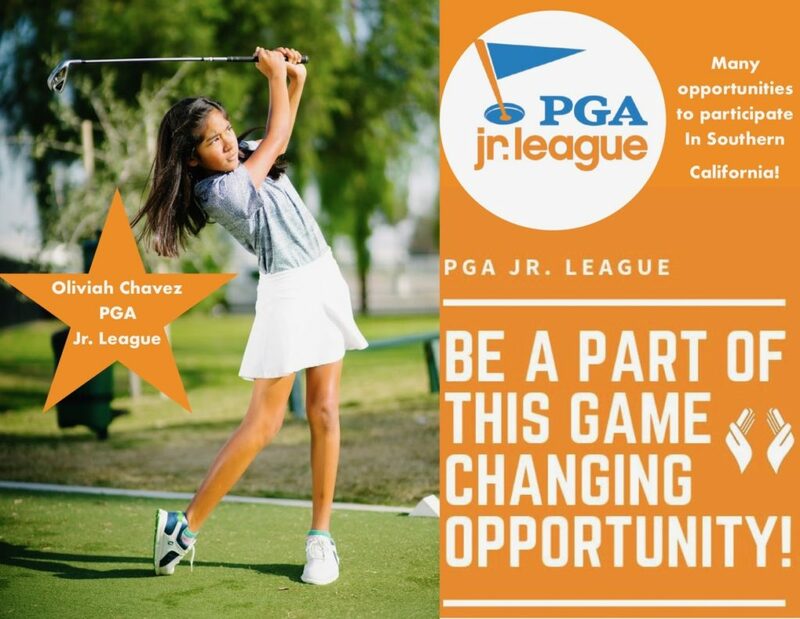 When I first heard about PGA Jr league, I’d seen it on tv. I wanted her to join to see how other players approach different shots. They can strategize together. It makes them talk to each other on course. When they share opinions, it makes them think about it from another kid’s point of view. If they hit a bad shot, the other kid doesn’t get upset or disappointed. They just help each other and support each other. Even when they played against someone, the other kids from other teams got to know each other on the course. The mentorship is great. I think golf teaches everyone about life in general. It’s a learning tool for life. Youre going to have your ups and downs. Being able to recover from them while youre down is important. You’re not always going to have good days, but you’re going to have another day to recover. I think it’s important for all races to play golf. Everyone should have the opportunity to play. The mindset is it’s too expensive or not reachable. At least try it. It’s not cheap, but neither are other sports. Maybe it’s the adults because they don’t play and have never played. I love golf because it’s allowed me to go outside more. And it’s helped me become mentally strong. Yes I would like to keep playing for a long time. I got a few friends to come with me. “Teamwork!” one word to describe PGA Jr. League. Just watching golf being hard. It is… so some kids may think it takes too much time and I’ll never be as good. You have to be committed to it. Golf is fun by itself. But you can pursue golf in your future life. You can keep playing for the rest of your life.